Analog Altimeter is an instrument for altitude measurement that is perfect for sports and outdoor activities. Try it on the ski slopes! The altitude available in meters or feet and is displayed on a cool analog display. Analog Altimeter uses the GPS integrated in your iPhone 3G or Android device, and requires a good GPS signal to provide more accurate values: it does not provide the altitude with GSM or Wi-Fi signals. 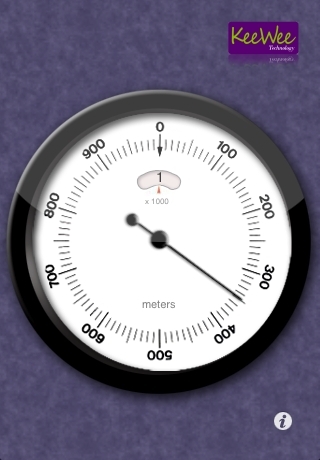 Analog Altimeter works with iPhone 3G and Android devices with GPS.